Alex Cunningham has slammed the decision by the Post Office to downgrade the branch on Stockton High Street from a Crown Office to a lesser, franchised branch after today learning that the favoured option is to relocate to the WH Smith store in Wellington Square. Stockton North’s Labour Member of Parliament, after learning that the change is likely to take place during the current financial year, likened the move to privatisation by the back door and expressed his extreme disappointment at the decision. Despite huge investment by Stockton Borough Council to modernise the High Street as part of wider efforts to rejuvenate the local economy and attract new businesses to the area, the Post Office are turning their backs on the area with the potential for the service being lost entirely from the High Street. A consultation on the options available will open on Monday, 25 November 2013. “I am hugely concerned that this process will result in an inferior Post Office for residents across the Stockton Borough. 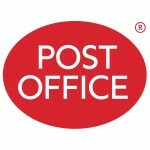 As was feared, the favoured option will see the Post Office moved to a location that is not on the High Street and is less accessible than the current arrangements. “It appears that the changes are simply a cost-cutting exercise, driven by the need to reduce expenditure, and overlook the likely impact on services provided. I don’t believe for one minute that they ever had any intention of listening to people in our community and the decision to downgrade our service was set in stone before their representatives even got to the town. And they’ve just ignored our Council who offered to work with them to retain Crown status. “The founding principle of universal facilities, denoted by the equal availability of high-quality services at locations across the country, has been lost in the rhetoric of austerity, cuts, and efficiency savings as the Government continues its assault on public services.